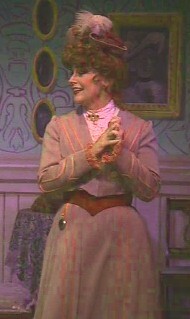 Jodi Carlisle played the role of Dolly Levi in The Matchmaker. Prior to that, she was seen as Ariadne Utterword in Shaw's Heartbreak House (Robby nomination, Drama-Logue Award), and as Rosemary Sydney in The Colony's Bonus productions of Picnic. 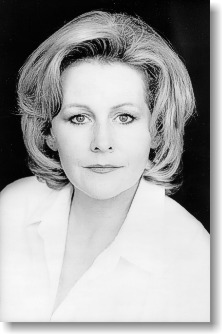 Other Colony credits include the musical King of Hearts, for which she received a Robby Award nomination for Best Lead Actress in a Musical; Working, for which she received a Theatre LA Ovation Award nomination for Best Lead Actress in a Musical; the late night musical Passions; the Bonus production of Tomfoolery; the critically-acclaimed production of Could I Have This Dance? directed by Jules Aaron, How to Succeed in Business Without Really Trying, The Man Who Came to Dinner, The Laramie Project, Fuddy Meers, and the second stage production of Einstein and the Polar Bear. Other L.A. stage credits include Justin Tanner's Big Bear at the 3rd Stage in Burbank, Noises Off at ICT Long Beach (Robby nomination-Best Lead Actress in a Comedy); Joined at the Head at the Laguna Playhouse (OC Weekly Award nomination-Best Actress); Opera Comique, directed by Jules Aaron (Drama-Logue Award); and Present Laughter with Ian Ogilvy directed by Richard Kline. Jodi is the recipient of the 1997 LA Drama Critics� Circle Natalie Schafer Award. By day, Jodi is a very busy voice-over artist, and you can hear her as mom �Marianne� on Nickelodeon�s Emmy nominated hit cartoon series The Wild Thornberrys and The Wild Thornberry's Movie.